Finally it's almost finish, here's a sample of page 01. 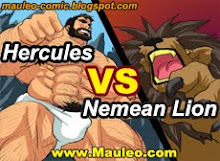 Love the Hercules PowerUP 2.2 sample comic. Purple monster punched Hercules in his balls "OOchh!" that really hurts.Can't wait to see the rest of story soon. 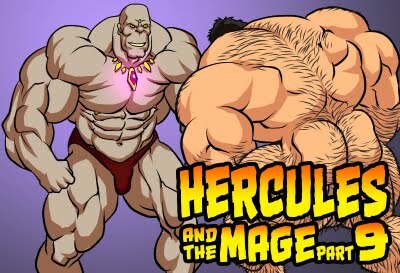 Those big heavy Hercules balls are hot! Woof! Come on Herc! Show us what those muscles can do! I cannot wait to see the rest. It takes a real man to be able to handle Hercules' meatpipe. Go Hercules! really hoping that that purple muscle monster wrestles hercules to submission with power hold after powerhold!